You can order from the menu if desired. 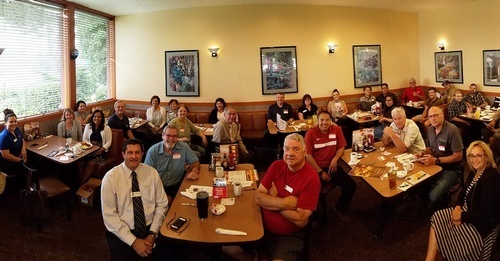 This weekly networking breakfast meeting provides a great opportunity for Chamber members to meet and connect with fellow Chamber members of the Santa Maria Valley Chamber of Commerce's business community and enjoy a casual and informal setting where you can come and invest time in networking, marketing your business products and/or services, and increase your referral base! The program includes 60-second self introductions for all members, one 12-minute showcase, leads & testimonials and general Chamber announcements. 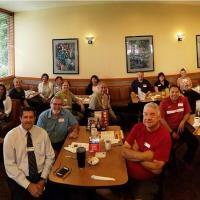 To be eligible for the showcase you must be a Chamber Member and have attended at least 4 breakfast club meetings. Chamber Members are encouraged to pass out business cards, fliers and brochures and may also bring prizes to give away in the weekly prize drawing (winner chosen from lead slips passed out that morning).